When it comes to make-up, the same rules as those in fashion apply. Invest in a few key classic pieces and save on the more on-trend ones. Foundation, for example is, I think, worth investing in. Like most things in life, if you get the base right then you are off to a good start. My fave foundations are the Make-up Forever HD as it gives good coverage and Giorgio Armani Luminous which is so luxurious. In fact I often mix them together to complement my skin tone. Our skin changes with the seasons, although if you live in the Emirates this means variations of quite hot, hot and very hot. 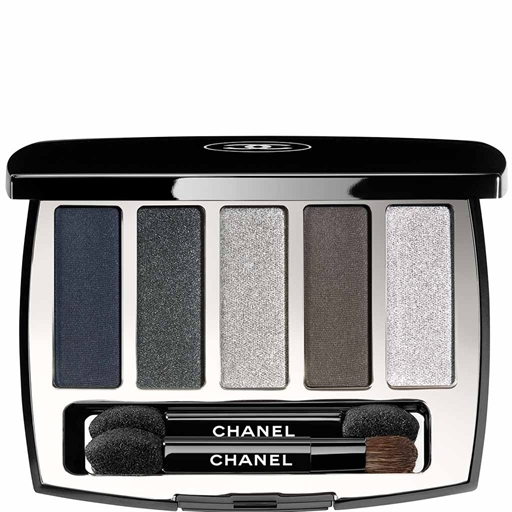 For eyes, I love the Chanel Architectonic eyeshadow pallet for AW16. The price is punchy but it's well worth the investment. The pallet's winter seasonal yet neutral tones suit all skin types. And the quality and balance of the product means that this is definitely not a one-season wonder. It is going to see you well into SS17. Obviously you can use it as a shadow, but also on your brows or as an eyeliner. So three for the price of one, and it comes in a little compact with a couple of applicators and a mirror. Perfect. For the on trend pieces I go for the high street and drugstore brands, they are great if your not quite sure how you should be rocking this season's daring red eye look or that purple mascara. If you're not sure then experiment at the less expensive end of the market. After all you simply can't beat Rimmel Khol black eyeliner, can you? Dubai's very own Huda Beauty Rose Gold pallet - you must have heard of it - is also an excellent buy. With its fab box and 18 different shades it certainly isn't a bargain buy (AED250/GBP50) but it is super versatile and some of the colours are timeless so you will be wearing years from now. All you need to do is go onto Instagram and you'll have dozens of different ways to extract your money's worth out of this beauty box. Moving onto finishing touches, nail-polish, apply the same mantra by choosing an Opi or Revlon varnish to test the latest seasonal colour. Then with your saving, invest in a good base and top coat as they're not going anywhere next season. 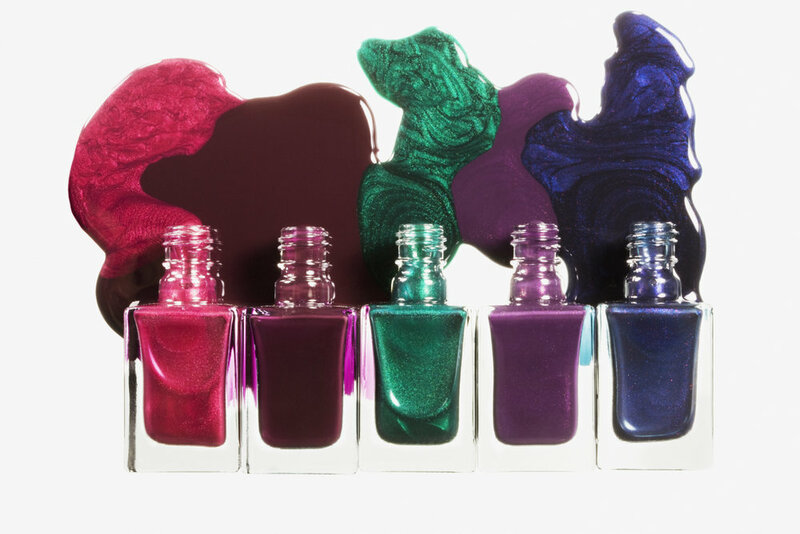 Nail Polish Bottles on white background. So spend on the classics; and not on the trend products. Keep that in mind as you wander the makeup stands on your next trip to the shops and, you'll have more money left to spend on clothes.